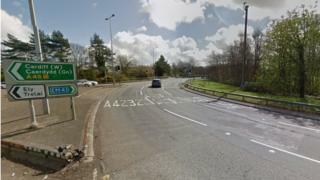 There will be disruption to motorists as resurfacing work is scheduled to begin on a major roundabout near Cardiff. Cardiff council said work will start on Culverhouse Cross roundabout between 20:00 BST and 06:00 from Sunday until Thursday. During these times there will be lane restrictions, road closures and diversions. Once complete, resurfacing work will move along the A48 to Tumble Hill. That work is scheduled to take place from Sunday 29 October to the following Thursday and will again take place between 20:00 and 06:00 BST to minimise disruption. A total of 6,400 sq m (68,889 sq ft) will be resurfaced during the scheme.